Tampa Honda’s Lifetime Warranty is underwritten by Great American Insurance Group. Great American’s roots go back to the 1800s with the founding of Great American Insurance Company in 1872, based in New York City. Click here to learn more: Great American Insurance. How long is the Lifetime Warranty really good? The Lifetime Warranty is valid for as long as you own the vehicle–for an unlimited time, unlimited miles. Zero. We’re trying to build “Customers for Life” so the Lifetime Warranty comes standard with every qualifying vehicle meeting the criteria above and is included at no extra charge. Please see details below for more information on qualifying vehicles. No. Our Award Winning Service Department will certainly exceed your expectations but you are note required to come here. To maintain the Warranty, you must perform the Manufacturer’s Recommended maintenance and keep your records. It’s that easy! The Lifetime Warranty is good at any licensed repair shop in the United States or Canada. There are no catches, hidden fees, or gimmicks. Our dealership provides this product as an added value to our customers for doing business with us. You just have to buy your vehicle here! The components covered will be the exact same as the Factory “Powertrain” Warranty and including: Engine: Cylinder block and head and all internal parts, intake manifold, timing gears and gaskets, timing chain/belt and cover, flywheel, valve covers, oil pan, oil pump, engine mounts, turbocharger housing and all internal parts, supercharger housing and all internal parts, engine control computer, water pump, fuel pump, seals and gaskets. Transmission & Transaxle: Case and all internal parts, torque converter, clutch cover, transmission mounts, transfer case and all internal parts, engine control computer, sales and gaskets, Front Wheel Drive System: Final drive housing and all internal parts, axle shafts, drive shaft, constant velocity joints, front hub and bearings, seals and gaskets. Rear Wheel Drive System: Axle housing & all internal parts, propeller shaft, u-joints, axle shaft, drive shaft, bearings, supports, seals and gaskets. Valid on any new vehicle purchased from Tampa Honda. 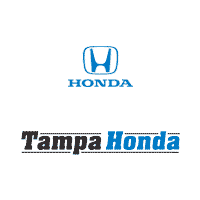 Valid on most used vehicles 5 years old or newer and with 50,000 miles or less purchased at Tampa Honda.